A Jingle Ball 2018 quick mix (ATL) - Introduction by Alessia Cara! | PK and DK Podcast Highlights! 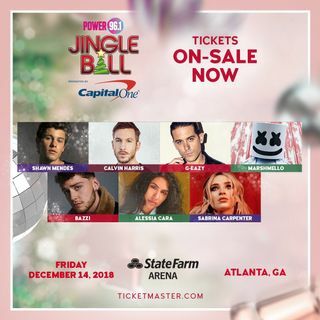 A Jingle Ball 2018 quick mix (ATL) - Introduction by Alessia Cara! A quick preview of December 14th! you guys notice that shriner's hospital commercial is on a lot lately? The one kid with the blanket has to be a kid still but his acting is top notch. Maybe he should move to LA and get into the acting game. I'm sure he'd kill it and then he can use his fortune to support the hospital. Wow, I think I did it again. Good for me.